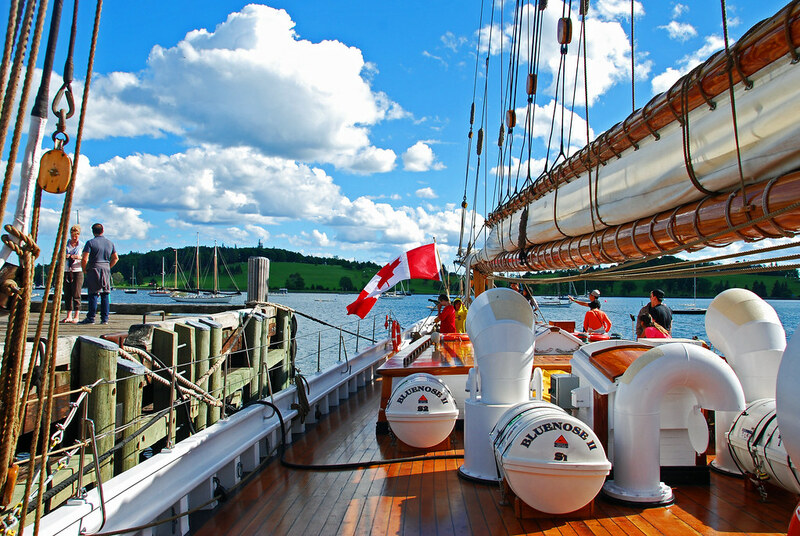 First it was called Harbour Navigation, then Harbour Ferries, now Harbour Cruises... they've been around a long while. The original Harbour Princess and Hollyburn, very handsome vessels which I believe both served as West Vancouver ferries, are now gone, replaced by these two. 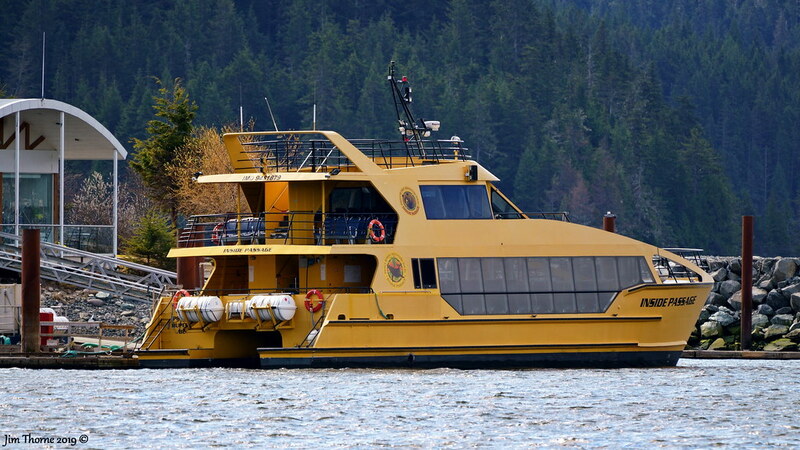 The latest Hollyburn is a small, pale shadow of the original, but the current Harbour Princess looks a little more substantial. A shot of the original Hollyburn can be found in our West Van ferries thread. Taken on a sunny Saturday when I played tourist, very much enjoying a walk from Waterfront Station, along Coal Harbour and around Stanley Park, coming back through the wonderfully liveable West End. Many areas of the West End are so quiet and almost forested that it's easy to forget you are in one of Canada's most densely populated square miles. One of the very best achievements of this city, in my view. I would have thought the admission price would be a Canadian dime. I guess I'll put this here... Spotted this in the Wall Street Journal today. LAKE GENEVA, Wis.—The first time she tried out as a mail boat jumper three years ago, Joanie Williams froze up. “I jumped off the boat, but then I panicked and didn’t get back on. They had to come back and get me,” said the 19-year-old college student. Although she made it back onto the boat in her next few tries that year, her landings were hard and awkward. “They were like, ‘She’s not cut out for this,’ ” she said. These days, she is part of an elite group that includes her mom, several aunts and uncles and her older sister, who share one of the coolest summer jobs around. They serve as guides on the morning run of the tour boat that circles the spring-fed lake in this resort town of 7,700, delivering a polished spiel on the many homes built for Chicago’s elite, with names like Wrigley, Schwinn and Maytag. That means the jumpers must hop off the front of the boat, sometimes dash about 10 yards to the mailbox and back, and then hop back on the rear of the boat before it gets away. “You can’t really train for this, because it’s so odd,” said Ronan McCarter, a 16-year-old from Naperville, Ill., who was trying out for the first time Friday. He made it. 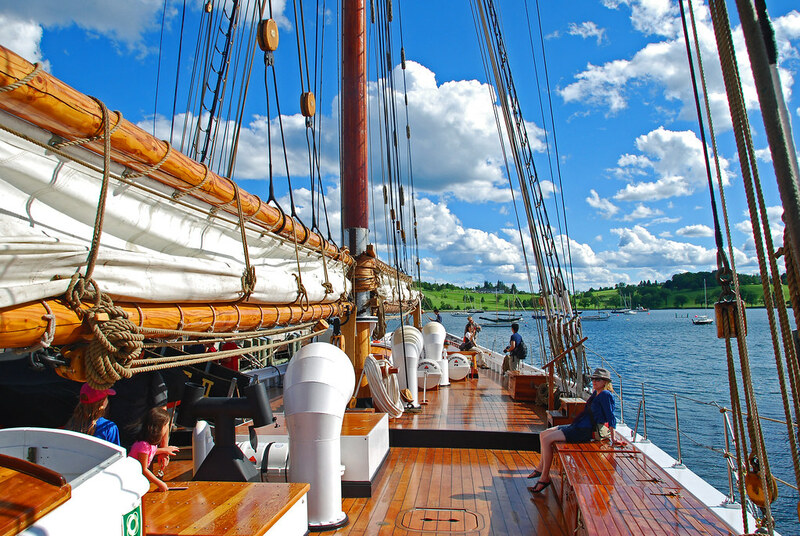 The mail boat has been operating for 100 years this summer. It started off as a simple mail delivery service, but people started hitching rides to see the sites and watch the mail jumpers do their job. Eventually, it turned into a tour with the mail service as kind of an exciting sideshow. 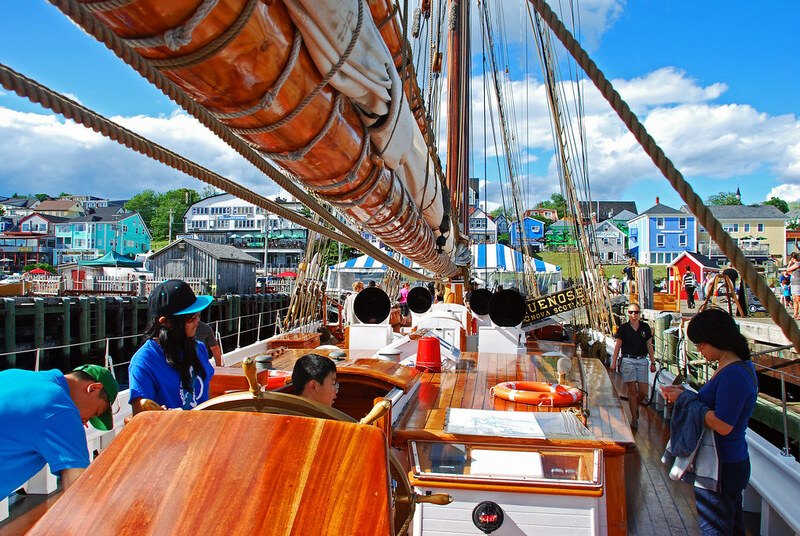 The company today offers dinner cruises, ice cream cruises and other themed tours, but the mail boat tour is still the most popular. “We have a lot of other tours, but people want to see this one,” said Ellen Burling, office manager and head of human resources for Lake Geneva Cruise Line, a unit of Gage Marine, which has owned the mailboat operation since 1958. On Friday, jumpers from years past joined a bevy of camera crews and about six jumpers who were either trying out or requalifying for another summer of balletic moves, split decisions and the occasional mishap. Sara Zaloudek, an 18-year-old from Indiana whose mother was also a jumper, had gotten a chance to jump a few times toward the end of last summer, while she did another job for Lake Geneva Cruise Line. 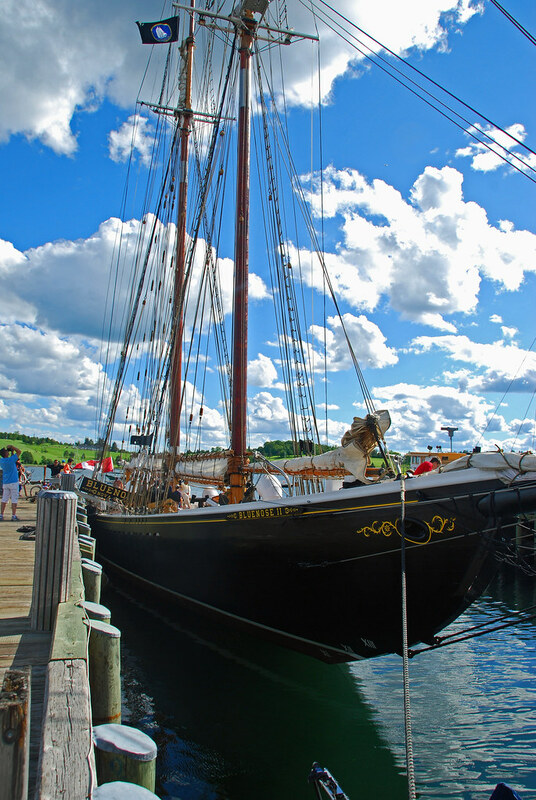 She exuded poise and confidence on the dock Friday morning. But in her first jump of the day, her hand got caught in the mailbox as she dropped off an ersatz package. Her timing thrown off, she sprinted back to the boat, hitting it hard and grabbing onto the railing for dear life. “Since I did get my finger stuck, it kind of freaked me out and I guess I was a little off,” she said. In later jumps, she was picture perfect. Occasionally a jumper does go in the water, but it’s usually because they are hot. 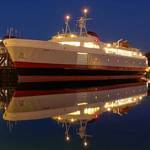 “The passengers love it—and the tips are better,” said Neill Frame, 75, the mail boat’s captain for the past 54 summers. On Friday, Ms. Williams took the plunge in her practice run, to the surprise of most people on board, including her mother, Nancy, who was the second female jumper in mail boat history. “If Neill wants you to go in the water, you go in the water,” she said, referring to the captain’s ability to swerve the boat in a way that will make the jump nearly impossible. “I was mad,” she said. “Why did he do that to Joanie?” Then she realized it was all planned and she relaxed. “I saved the mail,” said Joanie, who had tossed the fake piece of mail onto the ship before going into the water. “But you hit me in the face with it,” said another jumper. Asked whether he too started out as a jumper, Mr. Frame laughed. “My momma didn’t raise no fools,” he said. And a video from the tryouts, last year. I think those inflatable Type V PFDs the kids are wearing are awesome, by the way. Sidebar - I would have killed to do this job when I was 16. These types of seasonal summer job doing something awesome used to be abundant for high school and college age kids, but are rapidly drying up (I mean, I don't know how Labor and Industries lets 16 year olds do this job...). Not only are the opportunities drying up, but many kids eschew this type of work early for some kind of "internship" at a business that will supposedly help their future. These kind of jobs, where you get to do something awesome, and outdoors, will have a much greater long term impact. But they're a dying breed. What a cool Summer job to have as a teenager! It appears that Lake Geneva runs a pretty spiffy marine operation. West Coast Launch's Georgia Master, underway from Kemano to Kitimat, BC, with out-going work crew from Rio Tinto (formerly Alcan) Kemano power operations - 4 July 2017. 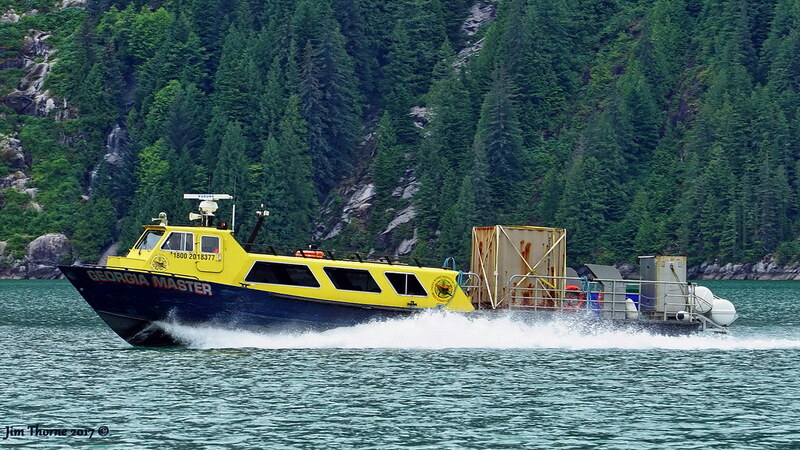 West Coast Launch (aka Prince Rupert Adventure Tours) has a contract with Rio Tinto - BC Operations to provide marine transportation services between Kitimat (site of Rio Tinto's large aluminium smelter) and Kemano (site of Rio Tinto's hydro electric generating facility). Rio Tinto got out of operating their own boats a few years ago. Cargo is being carried on the rear deck of this vessel now. 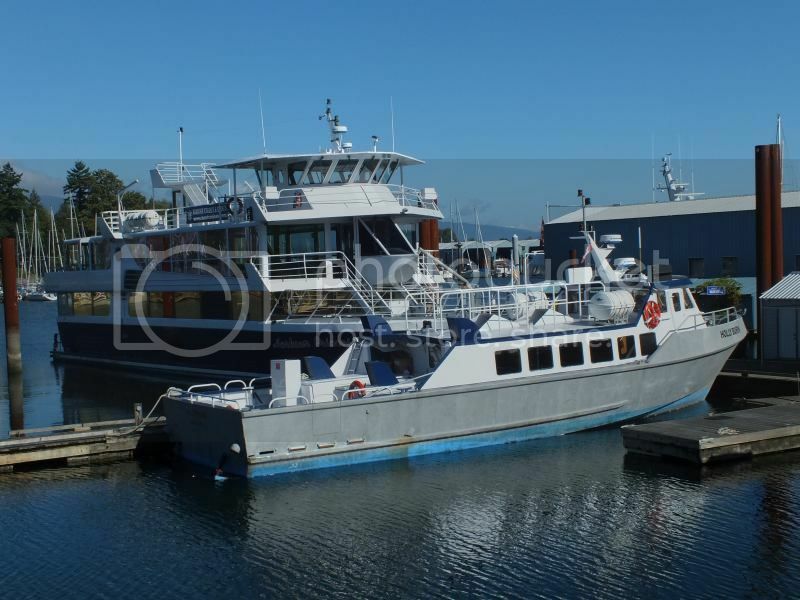 When used as a tour boat that area is a covered outdoor seating area, good for whale & bear viewing, and photography. 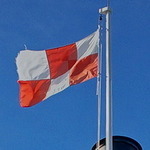 This photo was taken in Barrie Reach, Gardner Canal, just a few miles from Kemano Beach. The second photo shows the GM departing from Kemano on the next day, July 5th. 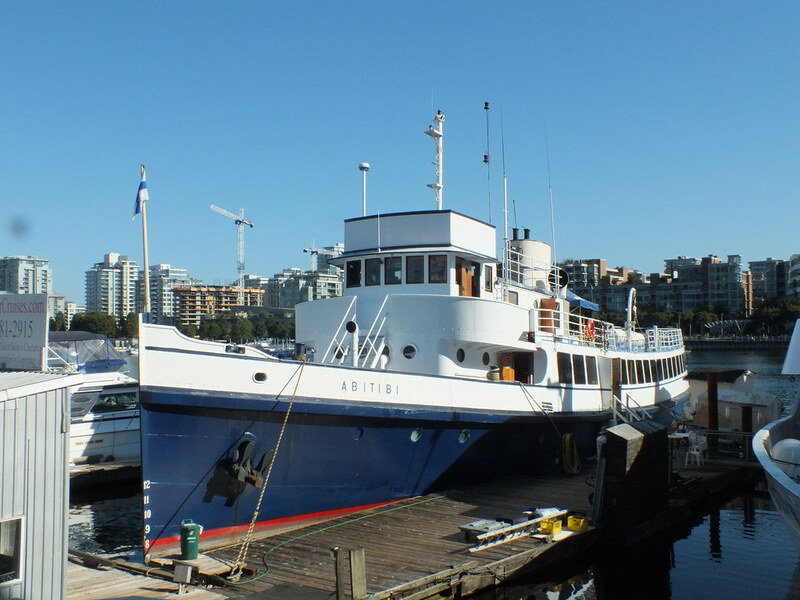 My vote for the nicest looking excursion vessel in the Vancouver area... the 1938 vintage, 140' Abitibi, operated by Vancouver Cruises. 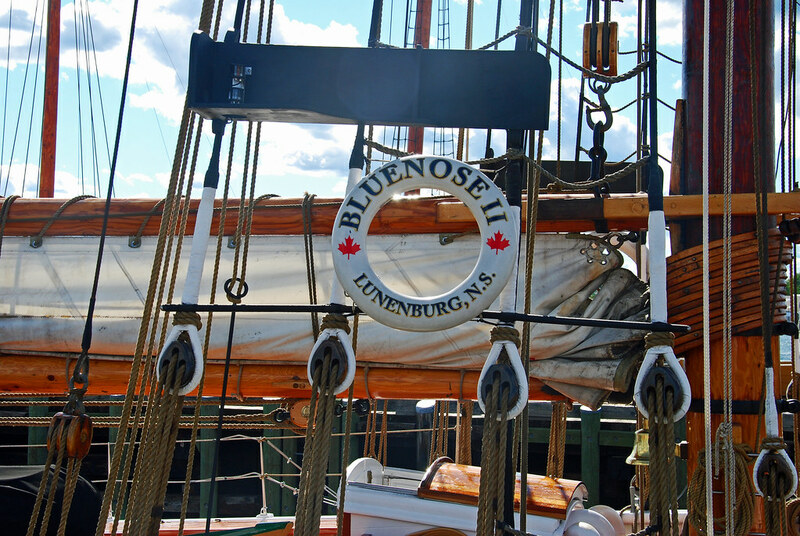 This boat is owned by West Coast Launch subsidiary 'Prince Rupert Adventure Tours'. 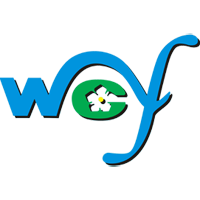 West Coast Launch has a contract with Rio Tinto BC Operations to provide passenger & some freight connections between Kitimat & Kemano. 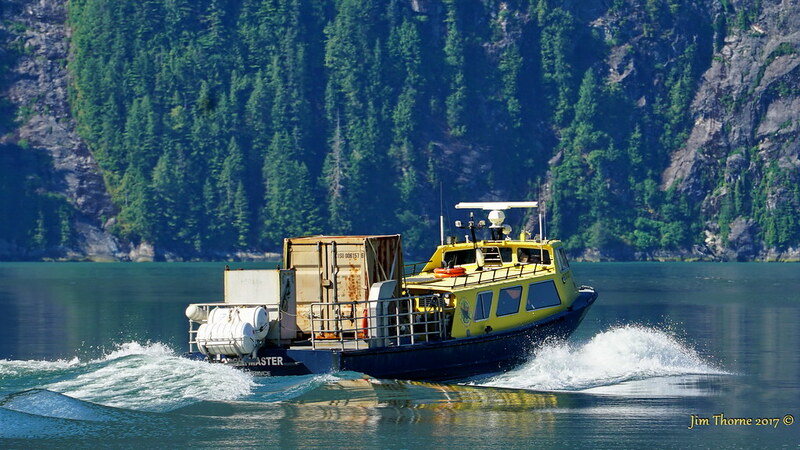 This is how people who work in Kemano (both Rio Tinto crews & contractors) travel between Kitimat & Kemano. Normally WCL uses a smaller boat, the Georgia Master, to provide this service. The Georgia Master is currently out of service getting a major refit done in Prince Rupert. For most of the last 65 years Rio Tinto's predecessor company, Alcan, operated their own boats on the route.